The Netherlands has ten monuments on the UNESCO World Heritage List. Cultural and natural heritage that is considered irreplaceable, unique and owned by the World. 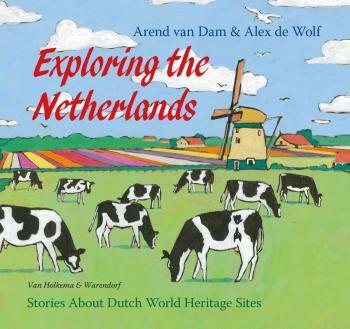 In this beautifull book Arend van Dam tells us about the uniqueness of this Cultural Heritage. Stories about the 17th century canals in Amsterdam , about the colourfull city of Willemstad, Curacao or about the former island of Schokland. The atmospheric paintings of Alex de Wolf bring these undeniable cultural treasures to life. Exploring the Netherlands is an indispensable book for everyone who is interested in the history of the Netherlands.